If you like single serve brewing options, the the Cuisinart SS-700 Brewing System is for you. You can brew K-Cups, Tea, coffee grounds (reusable single serve filter) and hot chocolate. Tall design accommodates travel mugs and large mugs. Massive water reservoir means spending less time refilling water. Lots to love about this machine; however, it’s a lot of machine… perhaps more than you need. 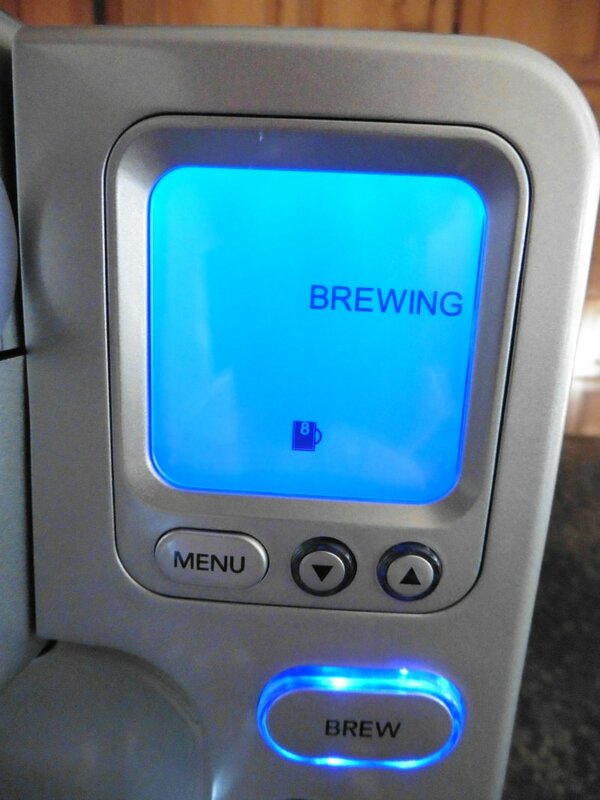 The Cuisinart SS-700 Single Serve Brewing System is truly a system. It’s a direct competitor to the Breville Gourmet Single Serve Coffee Maker since both look similar and have a wide array of similar features as well as a backlit screen (that’s surprisingly pretty easy to use). If you want a machine that does pretty much everything, this is a great choice. 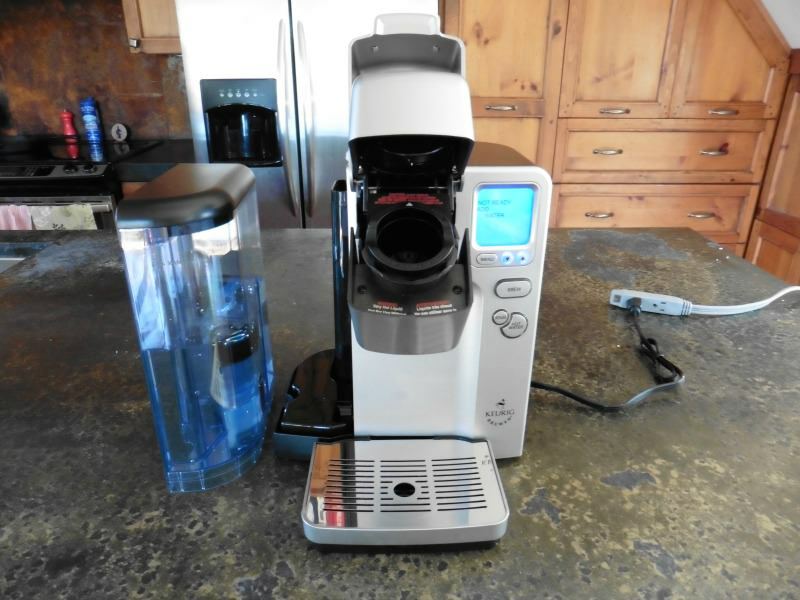 By everything, I mean it brews K-Cups, coffee grounds (with its reusable coffee filter), pours hot water for tea, has an easily accessible water reservoir and looks good, this is the machine for you. However, if you drink the same old K-Cups over and over and don’t need variety, this is probably too much machine for you. For example, my wife and I love Gevalia coffee which is available in Tassimo discs. Therefore, after buying and using 11 single serve coffee machines, we stuck with the Tassimo T55 because it’s a quality machine that brews the coffee we like. Likewise, in my office, I love drinking Starbucks coffee as well as having the option to brew a pot of coffee, so I went with the Hamilton Beach FlexBrew system. That said, sometimes I wish I went with the Cuisinart SS-700 because I’m a bit of a gadget junkie and like all the options this machine offers. 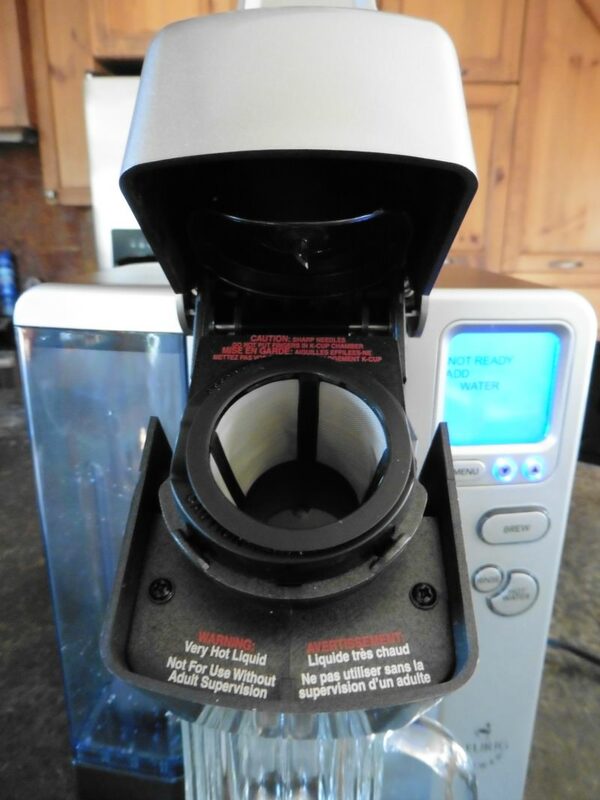 Be sure to read my other single cup coffee maker reviews here. 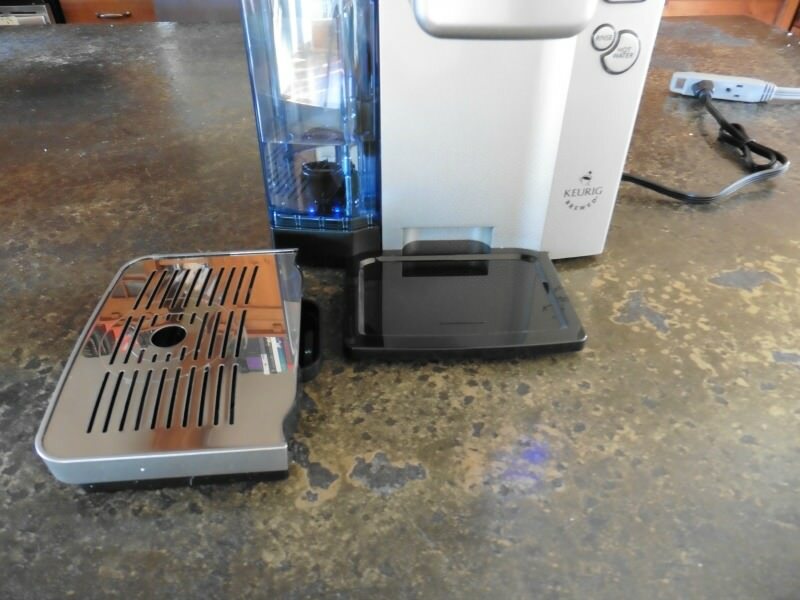 Does it all: Flexible brewing options – coffee grounds, K-Cups and hot water. Easy-to-Use: Don’t let the fancy screen fool you. This machine is super easy to use. Feature-Rich: You have pretty good control over brew strength which is really nice. Aweseome Water Reservoir: The massive 80 ounce detachable water reservoir is fabulous. It’s very easy to remove and reattach. Moreover, you can easily see form the front how much water remains. I like coffee makers with large reservoirs so I don’t have to refill them so often. Brew Speed: Like the Breville, this machine brews coffee FAST. 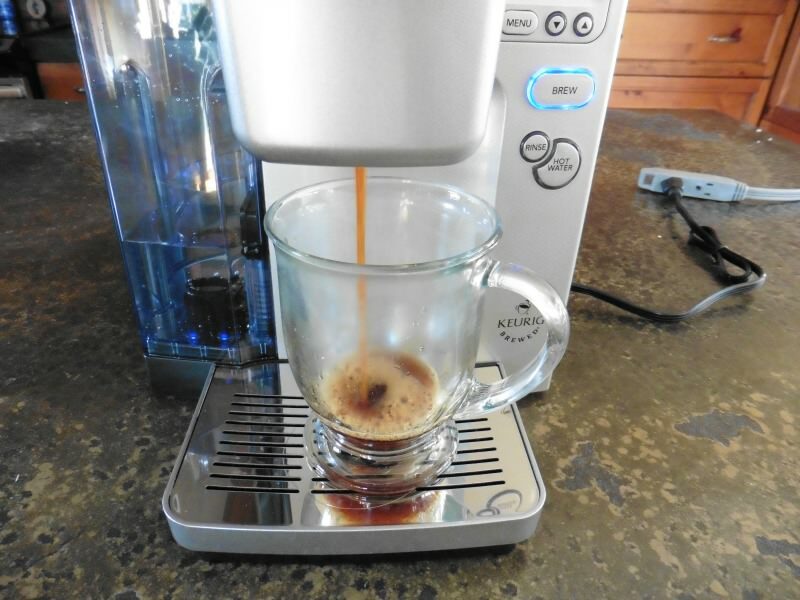 Once the system is warm, it pumps out coffee super fast… much faster than Keurig machines. Coffee Quality: It does a great job but of course it depends on the quality of coffee you buy. If you buy cheap K-Cups, you’ll get cheap coffee. Same with coffee grounds. That said, you can control brew strength so if you like it strong, your wish is your command. You choose brew strength by how many ounces of water you wish to pour forth. The less water, the stronger the brew. Accommodates Large Cups: You can remove the spill tray and accommodate tall travel mugs. This is a FABULOUS feature that you don’t get with a lot of single serve coffee makers. If you use travel mugs, keep this in mind. Moreover, the spill tray can easily be removed; some are very difficult to remove (such as the Tassimo T55, which is my biggest complaint of that machine). 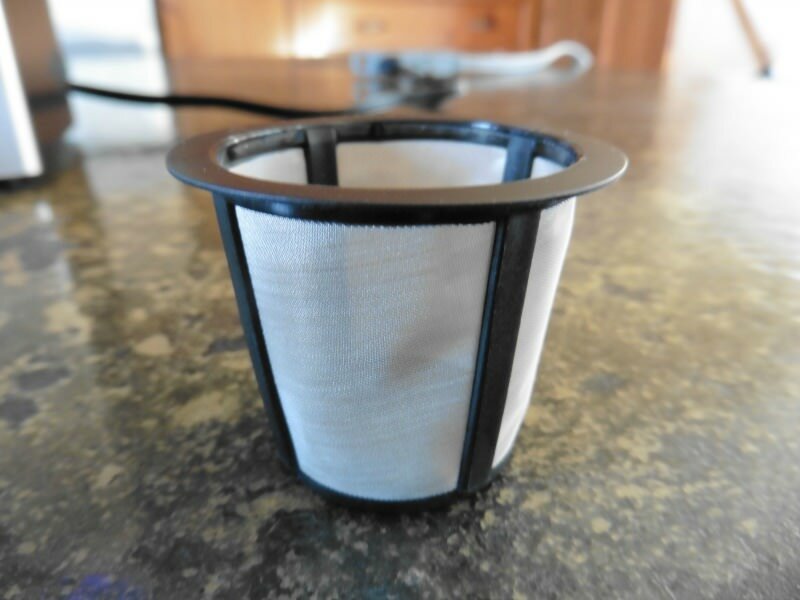 Includes Reusable Coffee Grounds Filter: If you like brewing single serve coffees with grounds instead of K-Cups (can’t say I blame you given the ludicrous waste K-Cups produce), you can with the included reusable filter. Adjustable Brew Temperature: You can adjust the brew temperature down from the default 192 degrees F if you want it a bit cooler. This is good for making hot chocolate for kids. Environmentally friendly (brew with reusable single-serve filter – get fresh coffee every time without producing copious amounts of K-Cup waste). Does it brew Tassimo Discs? No. 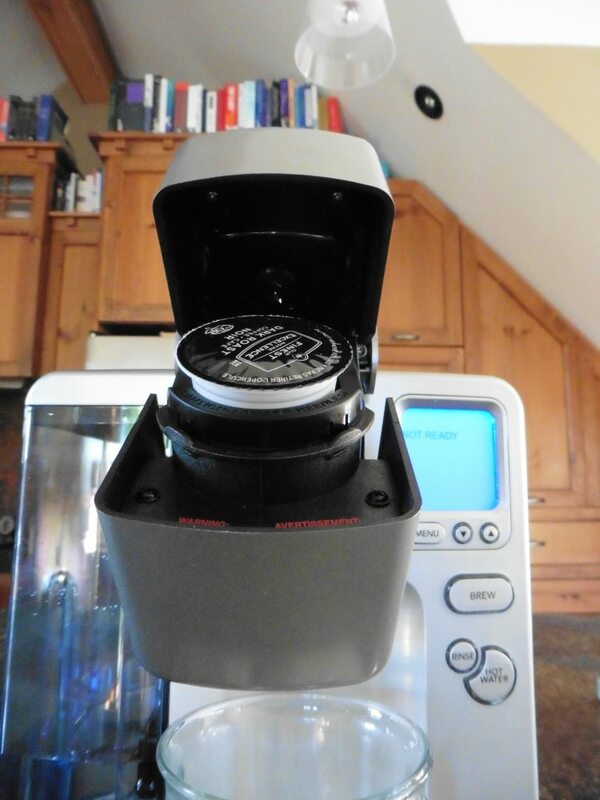 If you like Tassimo disc coffee (some coffee brands are only available as Tassimo discs), you don’t want this machine. Yes. This is a huge selling feature. Does it brew coffee grounds as a single brew? Yes. This is another huge selling feature. You can have fresh coffee every time with coffee grounds (i.e. you don’t need to brew a whole pot). Yes and no. If you get cappuccino or latte K-Cups, it will brew those drinks. However, it won’t turn a regular espresso or drip coffee into a cappuccino. In other words it doesn’t steam/froth milk. Can you brew a pot of coffee? No. It’s a single serve machine only. Can it accommodate travel mugs? Yes. This is a fantastic feature. Many single serve coffee makers cannot accommodate taller travel mugs. Can you control brew strength? Yes. This is a rare feature with single serve coffee makers. You can make a K-Cup coffee stronger or weaker by controlling how much water you dispense (4, 6, 8 or 10 ounces of water). Will it make iced coffees? Yes. Another rare feature with single serve coffee makers. Because this machine has temperature control, it can brew at lower temperatures so that the brewed coffee won’t be so hot to melt the ice in your cup. If you like variety, yes it is. I used it extensively and it works very well. It does what it says it will do and it’s easy to use. However, if you drink only K-cup coffee, you probably don’t need to spend so much. 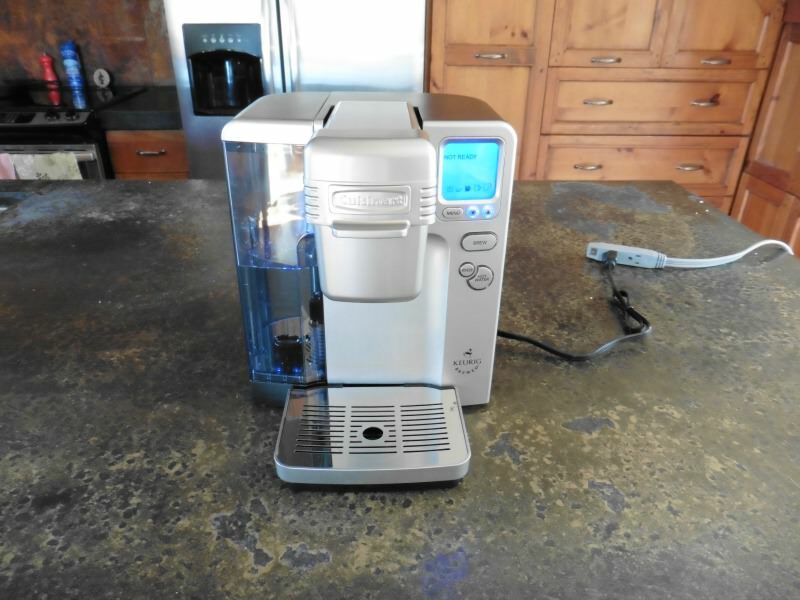 See all of our single serve coffee maker reviews here.